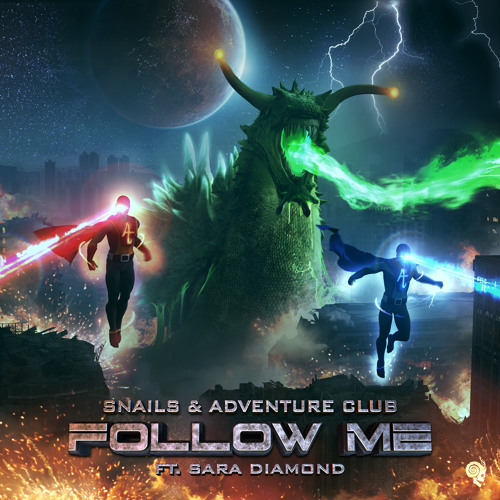 Snails has teamed up with Adventure Club to deliver an infectious piece of electronic music called Follow Me. This song perfectly combines equal parts of captivating melody and gut-wrenching bass on which Sara Diamond's enchanting vocals flow effortlessly. Follow Me fuses decadence with malevolence through haunting instrumentals, driving percussion and an explosive, grimy drop, making this a guaranteed hit at live sets with its emotional and dance-worthy elements. Stream it below! Follow Me is taken from Snails's upcoming Slimeageddon EP set to arrive this Friday, December 7th, on Slugz Music.